Remember when the party didn’t even start until 10 p.m., and when nothing really happened before midnight anyway? Of course you remember. It was when you were 22 years old. Who could forget the glory? But things have changed, and it’s not just you. In particular, start times at music clubs around New Orleans have been getting earlier. This opens all kinds of scenarios, including a night on the town that could begin even before nightfall. Some venues have double billings, with early sets that are truly early, and others host musical happy hours. In some cases you can catch an act on the way home from the office; going out for dinner after the show is now a viable plan, too. Sure, plenty of venues retain the 10 p.m. or 11 p.m. start time, and “clockwork” is still not really the operative word when it comes to New Orleans club schedules in general. But these days, the early option is a real one for local music fans. For instance, most weekday shows at Chickie Wah Wah begin at 8 p.m. (or 9 p.m. on weekends), and hotel lounges with music typically strike things up early, too, like the Carousel Lounge at the Hotel Monteleone, the Columns Hotel and the Davenport Lounge at the Ritz-Carlton. However, no part of town demonstrates the early dynamic quite as clearly and extensively as Frenchmen Street. Come by around lunchtime and most of the businesses along this stretch are still buttoned up. But even by 4 p.m., the same stroll along the first few blocks here reveals jazz and blues acts setting up for their late afternoon shows at the Spotted Cat and the Apple Barrel (609 Frenchmen St.). Sets will continue through the night at these spots, and well before sunset a few more of the clubs will be off and running as well. Looking at the schedules along Frenchmen, this Thursday’s early evening lineup in particular caught my eye. That’s because the 7 p.m. show at d.b.a. 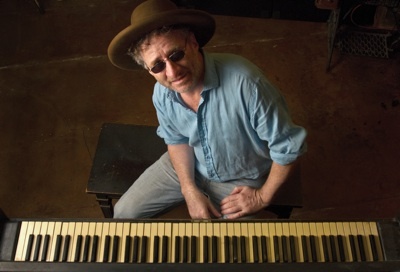 features Jon Cleary. We normally see this R&B piano man fronting his band the Absolute Monster Gentlemen. But periodically Cleary sets up for solo piano gigs that are low-key and extraordinarily intimate, and Thursday is another example (Lightnin’ Malcolm, a frequent collaborator with the North Mississippi Allstars, follows at 10 p.m.). The bar/music hall/small plates restaurant the Three Muses has music for its early happy hours. On the same Thursday (Aug. 22, 2013) when Cleary plays d.b.a. just down the block the New Orleans-style piano player Bill Malchow starts things off at the Three Muses 5 p.m. He’s followed at 7:30 p.m. by Washboard Rodeo, a Western swing outfit led by Washboard Chaz. A few doors down, Maison starts with jazz from Erin Demastes at 5 p.m., followed by the trad jazz/Latin act Faux Barrio Billionaires at 6 p.m. and the New Orleans Swamp Donkeys at 7 p.m. for more trad jazz. Of course, once you get going at this pace it might be tempting to keep the night rolling through to the next act about to take the stage or the next stop down the street. That can make for a late night, and a long night too if you started way back before sundown. But that’s on you. Just because there are early bird specials, that doesn’t mean you have to tackle the whole menu.